Inside a massive clean room at NASA’s Goddard Space Flight Center in Greenbelt, Maryland the James Webb Space Telescope team used a robotic arm to install the last of the telescope’s 18 mirrors onto the telescope structure. Engineers have installed the 18th and final primary mirror segment on what will be the biggest and most powerful space telescope ever launched. 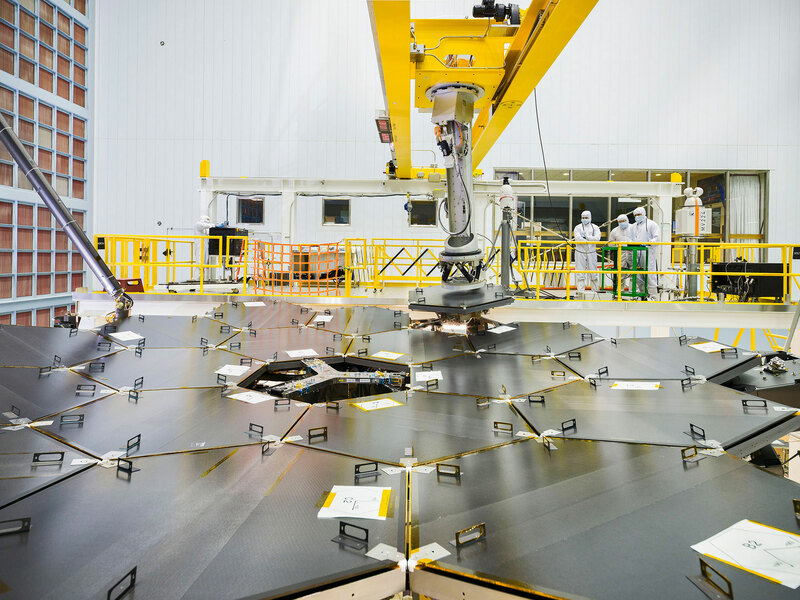 The final mirror installation marks an important milestone in the assembly of the James Webb Space Telescope. 2 Comments on "Scientists Complete Primary Mirror for NASA’s James Webb Space Telescope"
That is arm or am? please Explain. Photo under described 2nd line.